Evolutionary psychologists like to say that the tribe that didn’t get anxious about fermenting enough fish for winter wouldn’t have made it to spring. But worry can also spiral out of control, like in the case of anxiety disorders, which affect 18 percent of Americans and 7 percent of people worldwide and are marked by fretting so much about life that it prevents you from living it. Neuroscience is beginning to reveal how worry-prone brains behave differently than non-clinical ones. One of those signature traits is an unnecessarily high amount of “error related negativity,” or ERN. This brain wave is “an ‘oh crap’ signal that happens as soon as we make a mistake,” says Hans Schroder, doctoral candidate in clinical psychology at Michigan State University. But, in hopeful news for worriers everywhere, the amount of problematic self-monitoring anxious people do can be toned down. Indeed, as he and his colleagues report in a new paper in Psychophysiology, all it takes is a few minutes of writing to help the anxious brain get less worked up about making mistakes. The study itself went like this: The researchers recruited 40 college students (with high scores on a commonly used worry assessment) to come into the lab. They split them up into two groups: one that was asked to do expressive writing, where you put your deepest feelings about an experience on the page, while the other wrote about an unrelated subject. After eight minutes of journaling, the participants played a rapid response game that’s commonly used to by researchers to measure how people cope with making mistakes. And the group that had poured their hearts art on the page did indeed have significantly lower ERN than the topical writing group. “We say it ‘empties out the brain’ meaning it empties worries that are disruptive to task performance,” Schroder explained over email. “Worries are ‘sticky’—they take up cognitive resources if we don’t deal with them properly. By writing out our worries, they take up less space in the brain.” This means that journaling for less than 10 minutes is kind of like inviting Marie Kondo into the apartment inside your skull: things you don’t need get thrown out. The jury is still out on why expressive writing helps declutter the brains of chronic worriers. Anxious people tend to be hyper-sensitive to threats, and there’s reason to believe expressive writing helps people become less sensitive to the threats posed by their own errors. Or maybe they’re just putting less effort into constantly monitoring and thinking about those mistakes. This study gives a brain-imaging glimpse into the power of expressive writing, which has been shown in social psych studies to have positive effects ranging from increased liver functioning to fewer doctor visits to fewer post-traumatic stress symptoms to better grades for students and quick re-employment for people who have lost their jobs. One leading explanation for why expressive writing is so helpful for some people is the way it clears out your “working memory,” or all the stuff held in your mind’s eye at a given time. 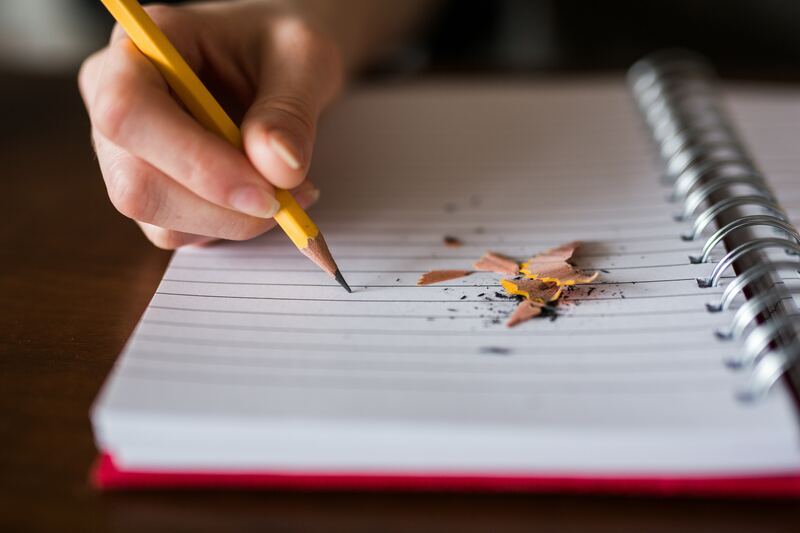 James Pennebaker, the University of Texas psychologist who pioneered the field, explained to Thrive Global in a separate interview what the effects of journaling feel like in your head. “If I am obsessed about something, I am incapable of paying attention to other information relevant to my decision,” he explained. “If you’re able to reduce the amount of time you’re devoting to an unanswerable question, then you will be able to think more clearly and make better decisions.” That’s the inspiring promise of this research: expressive writing is as cheap and accessible a treatment as you can get, and these findings are particularly practical. If you’re worried about a test, presentation or other performance, take a couple minutes to write out your feelings before it starts—it’ll help calm your brain down.